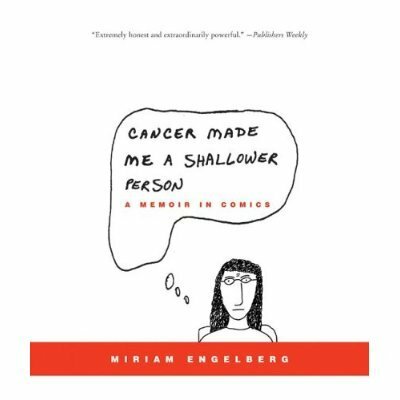 cancer made me a shallower person « Hercules and the umpire. After six months of treatment, I finished my chemo therapy about three weeks ago. This Tuesday, I had a PET (positron emission tomography) scan to see whether the cancer was gone. The news is not perfect but it’s not horrible either. 1. The follow-up PET scan shows two areas of continued metabolic activity: (a) the lung nodule biopsied by UNMC last February and determined to be a fungus. My oncologist was not in the least bit concerned with this spot. In fact, he said it would be very unusual for Hodgkin’s lymphoma to migrate to the lung. And (b) a small area deep in my groin, left side, where everyone suspects the cancer originated. This area is more of a concern. Credit: CENTRE JEAN PERRIN, ISM/SCIENCE PHOTO LIBRARY. This is an example. It is not my scan. 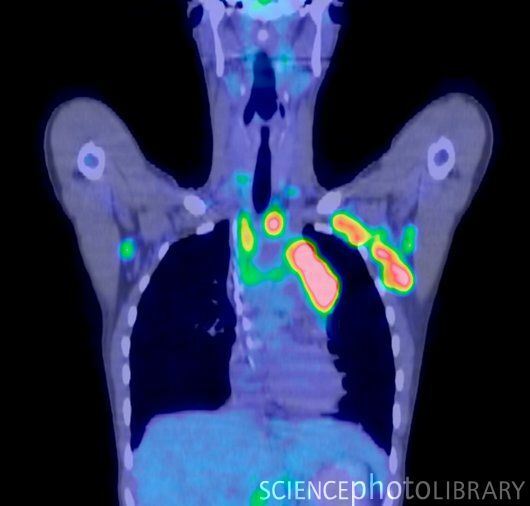 The PET scan in this example shows cancerous sites in the coloured areas for a patient with Hodgkin’s lymphoma. This scan was taken prior to treatment. 3. I will have another PET scan on November 17, 2014 and I will learn the results when I see my doctor on November 20, 2014. If the SUV increased significantly, then I am likely to undergo additional chemo therapy or radiation. If the SUV remains about the same, the doctor may advise “watchful waiting” or a more aggressive approach that would involve additional chemo therapy or radiation, depending, I suppose, on what he had for breakfast that morning. 4. For now, I may work as tolerated. The doctor advises that it takes 2 to 3 months to “recover” from the chemo I have just completed. With that in mind, I intend to reenter the assignment wheels and assume a regular case load starting December 1, 2014, subject, of course, to the November PET scan results. In the interim, I will continue to do work in the office and conduct short hearing such as sentencing proceedings. The judges and staff at work have been great. In particular, I am especially indebted to Chief Judge Smith Camp, Judge Gerrard, Judge Zwart and the very special people who work with me on a daily basis, Jan, Jim, Kris, Gabi, Ryan and Connie. They have been and continue to be patient and supportive and seldom bark at me even though I whine constantly.